Welcome to Days Inn Eugene the closest lodging option you have to the new Matthew Knight Arena. We are just steps away from the University of Oregon, Hayward Field Autzen Stadium and we are directly across the street from the Matthew Knight Arena. Our guests enjoy all the comforts of home in our large spacious rooms with complimentary Daybreak Breakfast, high speed wireless internet and papers delivered to your door every morning. All traveling guests can appreciate our helpful and knowledgeable staff that can help you get where you need to go. Our hotel is now completely non-smoking. 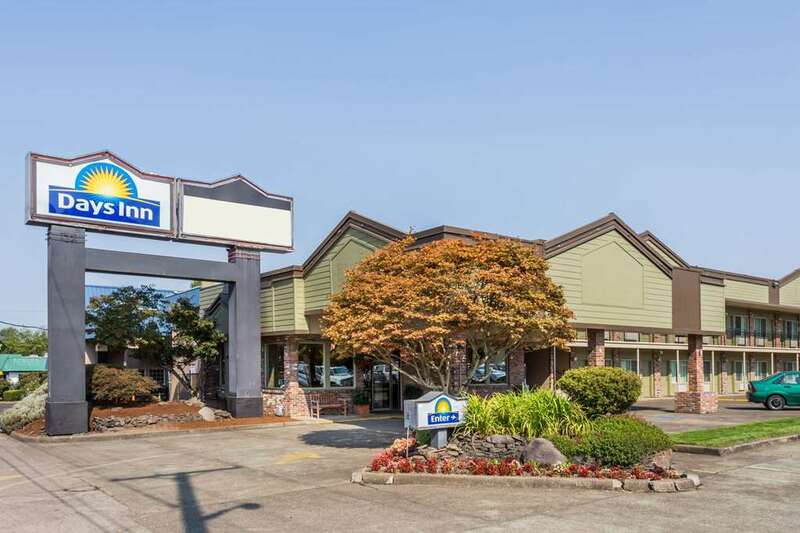 The Days Inn Eugene is located near several dining, entertainment and shopping locations just ask us for directions. Eugene is known as the Worlds Greatest City of Arts and Outdoors and when you stay with us you have access to the best with Alton Baker Parks renowned running and biking paths located just down the street. We have an ice machine available on the 2nd floor of our north building, and 2 soft drink machines 1 in each building. We do have snacks available for purchase in our lobby, which is open 24 hours.